Comes in 3-6 months /(7-18 lbs, 19-26 inches/) and 6-12 months /(16-24 lbs, 26-30 inches/). Adjustable shoulder snaps allow for a snug fit. 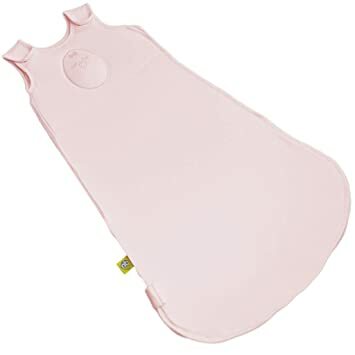 Made from 100/% luxuriously soft cotton for your baby's tender skin, it is washer and dryer safe. The weighted pad is filled with non-toxic poly beads, the same as you find in children's stuffed toys. At Nested Bean, we’ve experienced the joys and the challenges, the milestones and the tears that come with raising small children. 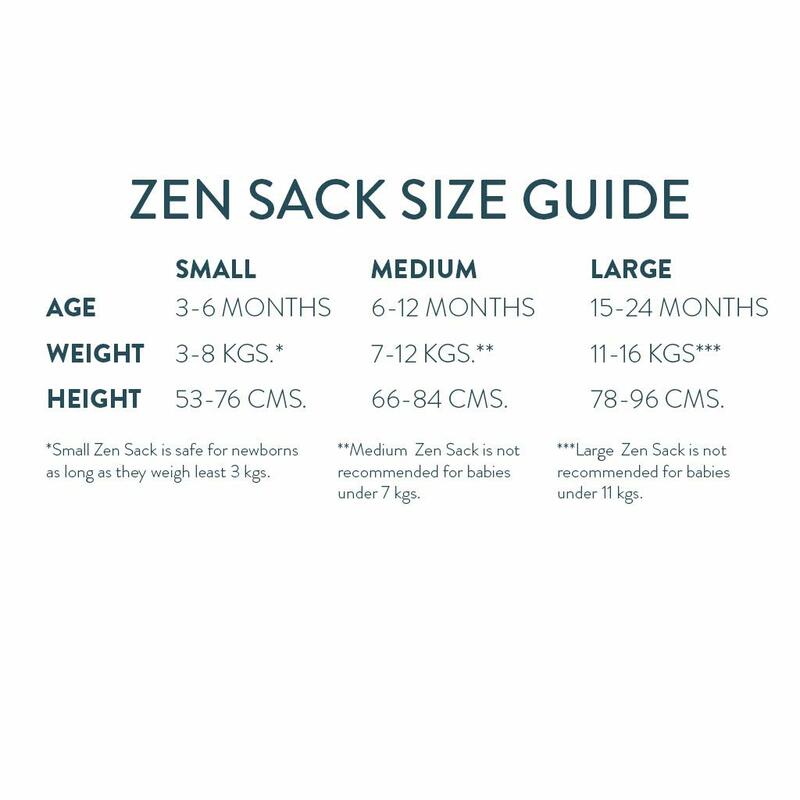 It is this first-hand experience that led us to the creation of the Zen Sack. Your story is our story.